Posted on Wednesday, November 10th, 2010 at 7:35 am. Subscribe to the comments feed. Both comments and pings are currently closed. Post on your own blog. I had a very similar experience recently where I already had a Perl script written to do some processing on a MySQL database table that only needed slight modifications for this new task, so rather than writing something new, I imported all the data to MySQL, processed it with the slightly modified script and exported it again in less time than it would have taken for a more “appropriate” solution. 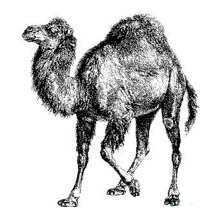 Also – long live Perl. I agree with all the good points you make about Perl (or insert language here) and I use it myself for the majority of scripts that I write. I only venture into Python/Ruby when they have a specific library I need to use. Unfortunately, it truly is a “write once, reuse never” in my case. As you said “Do it quickly, and move on.” After a week, it usually takes me less time to start from scratch than it does to try to figure out what my old perl script was doing and try to reuse it. Altho that may just say more about my poor programming skills than the language itself..